Last month, big data and investment trading collided on the front page of The Wall Street Journal. The article titled “The Quants Run Wall Street Now” notes that “up and down Wall Street, algorithmic driven trading and the quants who use sophisticated statistical models to find attractive trades are taking over the investment world.” Investment banking isn’t the only financial sector being altered by big data and machine learning. Every aspect of finance is changing. In particular, smart data, the usable expression of the ominous big data, is transforming lending practices for the better by enhancing privacy, improving stability, and making lending more affordable. Privacy is at the forefront of the cultural discussion, and people are increasingly aware and uneasy about the data being collected about them. It’s not just headline-making data breaches that scare consumers. There is a creepy factor about companies knowing and analyzing their customers’ personal data and making decisions based on their findings. Still, lenders need to make informed decisions about their investments to ensure that they make smart loans that are mutually beneficial to all parties. Big data has been a significant contributor to this decision making process. A recent article in The Economist noted that, when acquiring customer data, “social media profiles, web-browsing, loyalty cards, and phone-location trackers can help.” However, smart data is more protective of privacy because it doesn’t require input from a customer’s social media. It eliminates the need for questionable creditworthy designations based on social media posts or friend networks. 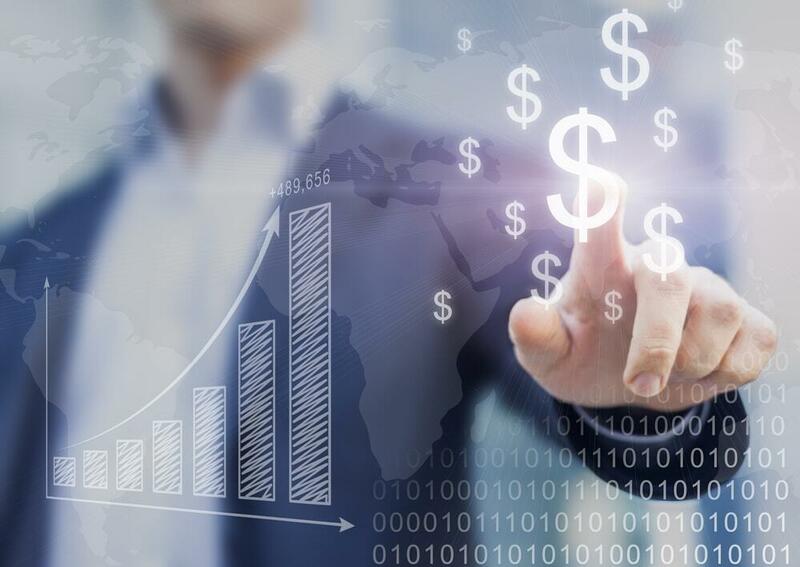 Fintech is changing the way lending companies collect data by investing in new technologies that make big data more useful for making informed decisions. This means being less intrusive but more effective in appraising lending decisions. Smart data is forming the future of lending by producing better data that is more customer conscience; this is a win-win both parties because it improves privacy while allowing companies to increase their effectiveness. According to most of the experts I spoke with, there are number of reasons financial institutions are introducing smart loans that are mutually beneficial. They can offer lower interest rates to their customers, while reducing their own risk profiles. Fintech is a novel industry because it eliminates preconceptions about how finance must operate and these changes are making lending more affordable and more inclusive. A report by Accenture encourages banks to compete with changing financial trends by adopting a digital-first approach to banking. Fintech transcends that approach by utilizing the power of digital to generate smart data that is cheaper to attain and analyze than traditional big data outlets. Companies are not willingly divulging their customer information, so financial institutions are paying high costs to attain the big data that drives their decisions. Meanwhile, smart data avoids these costs by using direct interactions like phone calls, the length of application, and financial transactions to generate usable data. Using intelligent algorithms, smart data can analyze data attained from direct interactions with customers to make reliable determinations about the decisions which matter most. By eliminating second party data and non-transaction related information, smart data can be more nimble and precise while honoring customer privacy and lowering lending costs. More data is not necessarily better data, and smart data improves performance while lowering the cost of doing business. The term “big data” refers to the vast amount of input being collected by companies. It’s “big” because it’s a lot. While this data can prove to be useful, there is no guarantee that there is strength in numbers, and large amounts of data can be overwhelming, unusable, or unreliable. Conversely, “smart data” is so named because it harnesses the power of data but reveals the data in ways that are actually usable and actionable. It’s smaller amounts of data, but it’s more precise, accurate, and nuanced. Moreover, smart data is easily controllable because it is comprised of specific data points determined to be most effective for making lending determinations rather than from the trove of indicators used by big data. In other words, it’s smarter, and with the powerful proliferation of new technologies, it’s becoming ever smarter still. This is good news for customers and lenders because it stabilizes the flow of customer information and allows everyone to make the most informed decision more of the time. Of course, information stability improves profitability and lowers lending costs as lenders make better decisions more often. This is the promise of fintech. Better data and better practices can make for better banking, and information stability is a key component of that premise. Fintech is disrupting the lending industry with its implementation of smart data. Adopting the idea that less of a better thing is better than more of anything, fintech is improving privacy, increasing data stability, and cutting costs. Improved privacy reflects the cultural trend in which privacy is an increasingly valuable commodity. Additionally, the valuable insights of smart data are achieved in direct ways which lends stability and effectiveness to the data. Finally, the cost cutting effect of less data is changing the lending opportunities for both lenders and loan seekers. Amidst many changes, it’s obvious that smart data is the key to future lending. Patrick Koeck is a Chief Operating Officer and a previous Chief Risk Officer in European Smart-data powered lender Creamfinance. Before coming to Creamfinance he tested his mettle in companies such as Alkoe GmbH, the Coca-Cola Hellenic Bottling Company and KPMG Austria, where he focused on database management and Financial Controlling. At the moment he is responsible for improving automation and development in all 8 countries where company is located.